In this deeply scary and intensely unnerving debut novel, Jake and a woman known only as “The Girlfriend” are on a drive to visit his parents at their secluded farm. But when Jake leaves “The Girlfriend” stranded at an abandoned high school, what follows is a twisted unraveling of the darkest unease, an exploration into psychological frailty, and an ending as suspenseful as The Usual Suspects and as haunting as Misery.Deeply scary and intensely unnerving, Iain Reid’s debut novel is a tightening spiral of a story about a woman’s uncertainty of her relationship with her boyfriend, Jake. After an uncomfortable and confusing trip to meet Jake’s parents at their isolated farmhouse, reality unravels and events spin out of control when Jake and “The Girlfriend” make an unscheduled stop at an abandoned high school. Part murder mystery, part psychological thriller, I’m Thinking of Ending Things is about doubt, psychological fragility, and the lengths we’ll go to avoid the truth. Twisted as Shutter Island, as suspenseful as Under the Skin and as atmospheric as The Sisters Brothers, Reid’s breakout literary thriller is sure to keep readers guessing until the last page. In this deeply scary and intensely unnerving debut novel, Jake and a woman known only as “The Girlfriend” are on a drive to visit his parents at their secluded farm. But when Jake leaves “The Girlfriend” stranded at an abandoned high school, what follows is a twisted unraveling of the darkest unease, an exploration into psychological frailty, and an ending as suspenseful as The Usual Suspects and as haunting as Misery. 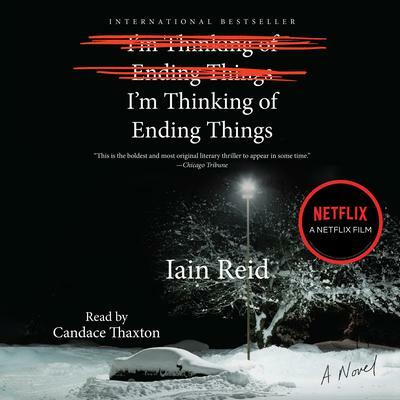 Deeply scary and intensely unnerving, Iain Reid’s debut novel is a tightening spiral of a story about a woman’s uncertainty of her relationship with her boyfriend, Jake. After an uncomfortable and confusing trip to meet Jake’s parents at their isolated farmhouse, reality unravels and events spin out of control when Jake and “The Girlfriend” make an unscheduled stop at an abandoned high school. Part murder mystery, part psychological thriller, I’m Thinking of Ending Things is about doubt, psychological fragility, and the lengths we’ll go to avoid the truth. Twisted as Shutter Island, as suspenseful as Under the Skin and as atmospheric as The Sisters Brothers, Reid’s breakout literary thriller is sure to keep readers guessing until the last page. 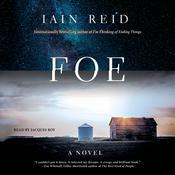 Iain Reid is the author of two critically acclaimed, award-winning books of nonfiction. His bestselling debut novel, I’m Thinking of Ending Things, was translated into more than a dozen languages. 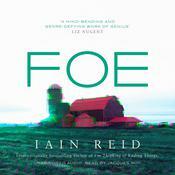 Foe is his second novel.